Running the program with ltrace will show the call to printf since that is a standard library function (which is a dynamic library on my system) and strace will show all the system calls from the startup code, the system calls used to implement printf, and the shutdown code, but I want something that will show me that the function triple was called. Assuming that the local functions have not been inlined by an optimizing compiler and that the binary has not been stripped (symbols removed), is there a tool that can do this? It is okay if the tool also provides trace information for non-local functions. I don't want to have to recompile the program(s) with support for specific tools, the symbol information in the executable should be enough. 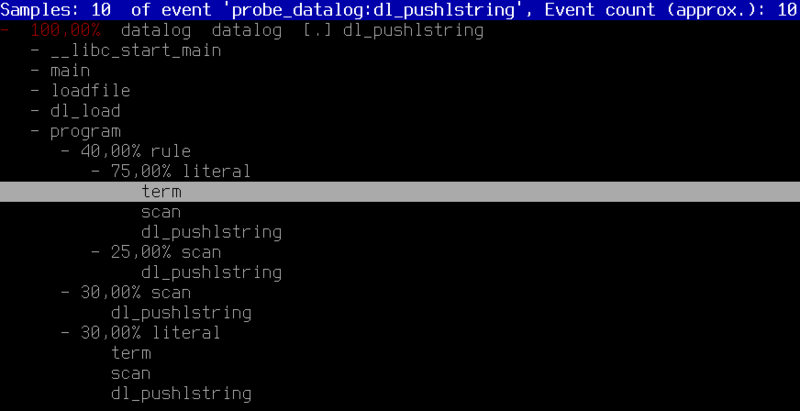 I would be really nice if I could use the tool to attach to existing processes like I can with ltrace/strace. Breakpoint 1 at 0x804866a: file test.cpp, line 4. Note that instead of just printing the current frame(bt 1), you can do anything you like, printing the value of some global, executing some shell command or mailing something if it hits the fatal_bomb_exploded function :) Sadly, gcc outputs some "Current Language changed" messages in between. But that's easily grepped out. No big deal. System Tap can be used on a modern Linux box (Fedora 10, RHEL 5, etc.). First download the para-callgraph.stp script. Assuming you can re-compile (no source change required) the code you want to trace with the gcc option -finstrument-functions, you can use etrace to get the function call graph. On Solaris, truss (strace equivalent) has the ability to filter the library to be traced. I'm was surprised when I discovered strace doesn't have such a capability. If you externalize that function into an external library, you should also be able to see it getting called, ( with ltrace ). The reason this works is because ltrace puts itself between your app and the library, and when all the code is internalized with the one file it can't intercept the call. spews stuff from X libraries, and X is hardly system. Outside this, the only real way to do it is compile-time intercept via prof flags or debug symbols. But I dont think thats what you want. 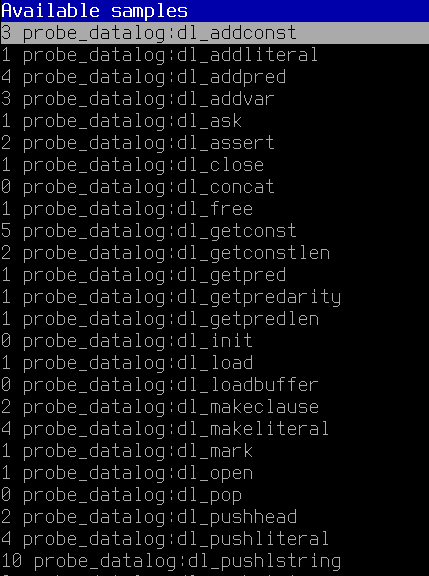 If the functions aren't inlined, you might even have luck using objdump -d <program>. It shows all possible function calls, whereas something like gprof will only show the executed function calls. There is a shell script for automatizating tracing function calls with gdb. But it can't attach to running process. It dumps all functions from program and generate a gdb command file with breakpoints on each function. At each breakpoint, "backtrace 2" and "continue" are executed. This script is rather slow on big porject (~ thousands of functions), so i add a filter on function list (via egrep). It was very easy, and I use this script almost evry day. It requires recompiling your code with its instrumentor, but will provide a listing of all functions, their parameters and return values. There's an interactive to allow easy navigation of large data samples. Hopefully the callgrind or cachegrind tools for Valgrind will give you the information you seek. NOTE: This is not the linux kernel based ftrace, but rather a tool I recently designed to accomplish local function tracing and control flow. Linux ELF x86_64/x86_32 are supported publicly. Not the answer you're looking for? Browse other questions tagged linux debugging trace or ask your own question. how to trace function call in C? How would I use the >> and << operators for binary data in C++? Capturing user-space assembly with ftrace and kprobes (by using virtual address translation)?